If you’re like most homeowners, you probably take your garage door springs for granted. 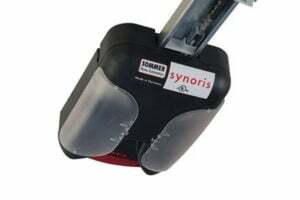 You simply expect them to function quietly and smoothly several times a day as you easily open and close your garage door. Typical garage doors weigh over 100, 200, or even 300 pounds. Garage door springs make them easy to open and close because they store and release energy that will do most of the work for you. Why Should You Care About Maintaining and Replacing Garage Door Springs? If you maintain and replace garage door springs the right way, you can continue you take them for granted most of the time. High-quality parts that have been installed correctly can last for years and help protect your expensive doors and the people who use them. Our garage door springs are warrantied from four to eight years, and life expectancy may vary because of the way they are maintained, how often they are used, and even weather conditions. When your garage door springs fail, it’s almost always inconvenient. In the worst cases, problems with garage door extension or torsion springs can become a security or safety issue. We always encourage people to stay on top of garage door maintenance and to replace or repair worn parts well before they fail. We’re here to help you maintain and replace garage door springs and other parts. We want to make sure you have access to high-quality replacements for your garage door extension springs and garage door torsion springs. 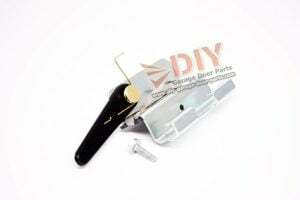 Here at DIY Garage Door Parts in North Carolina, we ship high-quality, warrantied, made-in-the-USA garage door parts anywhere in the country. 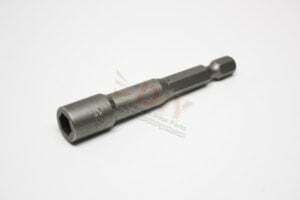 You can also contact us for custom parts that we can manufacture ourselves. We also have a complete library of DIY Garage Door Repair Videos to make sure you can replace garage door parts efficiently and safely. We will help you save hundreds of dollars with affordable parts, instructions, and service. 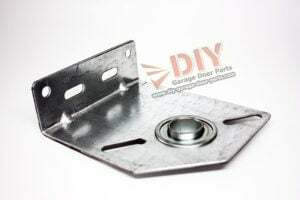 As garage door professionals, we know that garage door parts aren’t all the same. For example, you may need to choose between garage door torsion or extension springs. Take just a couple of minutes to make sure you understand which kind of garage door springs to buy for your own home or business garage doors. Let’s start with garage door torsion springs since these are the most common kinds of garage door springs in homes and businesses in the United States. You can usually tell that you have garage door torsion springs because you will find them mounted over the top of the garage door in a horizontal position. You may be interested to know that the small springs in a mousetrap provide you with a smaller and simpler example of the way that a torsion spring works in garage doors. They store energy as they wind up, and they release energy when they are released. In a garage door, they store this energy as you lower the door and release it as the door is raised. That’s why it takes little effort on your part to raise such a big door. Heavier doors may use two garage door torsion springs on one door, and it’s always best to replace both of them even if only one of them appears worn or damaged. You want to have the same amount of tension from both springs, and older springs won’t function as well, even if they haven’t yet failed. Determine your spring specs: Before you order any torsion springs, be sure to watch our video that will explain how to measure a garage door torsion spring. This video will help you measure the inside and outside diameters of your old spring, measure your garage door length, and determine if you need a right- or left-hand wind spring or one of each. Find the right garage door torsion springs online: You can find our full selection of garage door torsion springs for sale online on our website. From there, you can also choose a standard four-year warranty or more durable garage door torsion springs with an eight-year warranty. Most people replace old garage door springs with the same kind of springs that they had before. You can convert from garage door extension springs to torsion springs. Of course, you may also need to choose one type over another if you’re building a new garage. If you have a choice, you might lean towards purchasing garage door torsion springs over garage door extension springs. Torsion springs cost a little more than extension springs. Torsion springs tend to last 50- to 100-percent longer, so you can balance out a somewhat higher purchase cost against having to replace them less often. A modest investment in an upgrade to garage door torsion springs will save you time, money, and hassle in the future. Torsion springs may be safer to use and install than extension springs. Since you, your children, or employees may use your garage doors, reducing risks also makes torsion springs a good investment. You can visit our video library to find a helpful video that will explain exactly how to install your garage door torsion spring. While most fairly handy people can handle this task, buying the right product will save you time because you can rely upon a high-quality part to last for years. All of our garage door springs come with a standard four-year warranty, but you can upgrade to a high-cycle spring with an eight-year warranty for a modest price. Manufacturers may expect standard springs to last 10,000 to 15,000 cycles. Our upgraded springs should last about twice that long, so you won’t have to replace them as often. 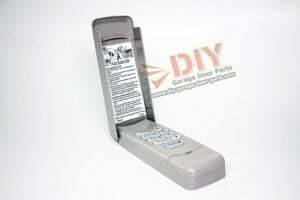 In the end, this saves you money, downtime, and repair bills. Note: We don’t just offer you a longer warranty when you upgrade. 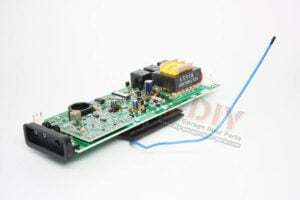 We will also send a more durable product with heavier wire. Standard: Typical residential garages have either one or two springs for each door. 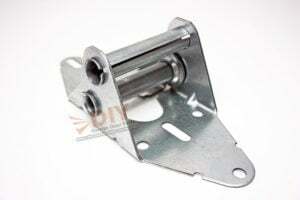 Lighter doors may only need one spring, mounted to an anchor bracket above the door. On the other hand, two springs can ensure safety and reduce the chance of damage. This is because the door won’t usually fall immediately in case one spring breaks. You can think of doubling up on springs like buying extra insurance. EZ-Set: EZ-Set springs resemble standard springs, but they use different hardware. As with standard springs, smaller doors may only have one spring, but two-car garage doors typically have two. 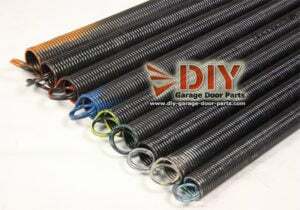 Commercial garage door springs: Heavier doors for commercial and industrial use usually have at least two torsion springs, but they may have up to four. 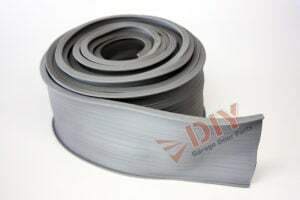 Typically, installers will also choose spring wire with a wider diameter to stand up to heavy use and assure them of less downtime in the future. Unlike torsion springs, you will usually find garage door extension springs mounted beside the garage door. You will find the mounts parallel to the tracks. 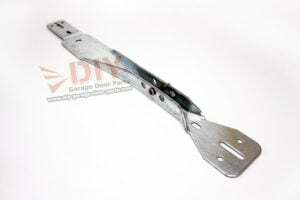 Typically, residential garages have one extension spring on each side; however, heavier commercial doors may have more than one garage door extension spring mounted on each side. 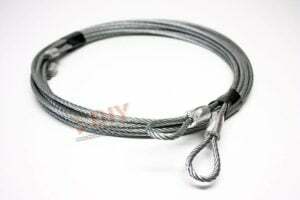 Garage door extension springs uncoil to store energy as you close your garage door. When you open the door, these kinds of springs wind back up, using their stored energy to make the task easier. You have very low headroom. These garage door springs are mounted to the side and not over the door. 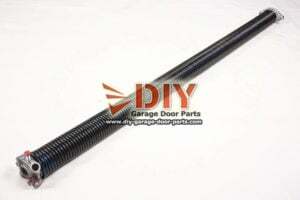 In other cases, you may find it easier to simply replace the kinds of garage door springs that you already had. Our durable garage door extension springs are all made in America and come standard with a four-year warranty. As with torsion springs, you should consider replacing all of your garage door extension springs even if only one appears damaged. It’s likely that the others are also worn, and you will have better luck keeping your door balanced that way. Besides, if one of your garage door extension springs shows signs of wear or has already broken, it’s likely that the other one will soon fail as well. You can find our selection of garage door extension springs and instructional videos for measuring extension springs. You can choose your extension springs by the length of the old springs and by the weight rating. Sectional: Extension springs for sectional garage doors are the most common kind in the U.S. The raised door slides on tracks to rest against the roof on the inside of the garage. Typically, springs for sectional garage doors almost always work as a pair that have been mounted on either side of the door, but it’s possible to find light doors that operate with only one spring. One-piece doors: A one piece-door works by having the top rise inside and the bottom rise outside of the garage. You will usually find either one or two springs on each side, for a total of two or four garage door extension springs. 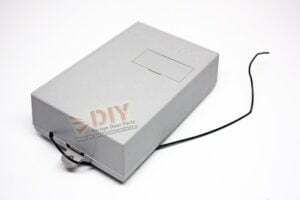 In this case, the springs work as a counterbalance to the door to make it easy to open. 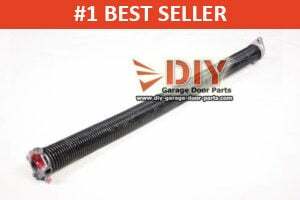 Why Buy Oil Tempered Garage Door Springs? If you’ve already shopped around for extension or torsion garage door springs, you may have noticed that some are oil tempered but others are made from galvanized steel. We believe that oil tempered springs are generally superior, so that’s what we sell. Also, we can offer a greater selection of high-quality, affordable oil tempered springs by focusing upon sourcing and manufacturing this type of product. Galvanized steel: In this case, the rod gets a thin coating of zinc to help prevent rusting for as long as the coating lasts. Oil tempered: After heating the rod to very high temperatures, it is cooled in a bath of oil before one more reheating. Eventually, the zinc coating on galvanized steel will begin to oxidize, so it does not offer permanent protection against rust. 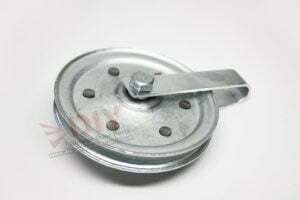 You may notice white powder on the rods, and this will tell you that the coasting has started to oxidize and no longer can protect the metal underneath. Also, galvanized steel rods tend to be more brittle and lose their tension faster. People have relied upon oil tempering to produce durable steel for centuries. We offer oil tempered springs because they’re more durable. Really, the only true disadvantage to oil tempered springs is that they may come still covered with some oil from the tempering process. It’s just wise to remain aware of this to avoid transferring oil from the rods to another surface. You can use our garage door gel lube on garage door springs, pulleys, hinges, and joins to keep them protected and quiet. We don’t suggest using products like WD-40 on garage door parts because they may cause springs to slip and eventually, generate a harmful buildup that will actually decrease the life of your parts. Learn more about using the Denco Garage Door Lubricant that we offer from our site. How do you know when it’s time to replace garage door springs? Of course, you know that you need to replace your garage door springs if one or more has actually broken. In this case, the door could fall or look uneven on one side. Hopefully, you will catch the problem before this happens. Remember that most garage doors weigh hundreds of pounds, so broken springs can cause damage to the door and other property or even worse, severe injuries. 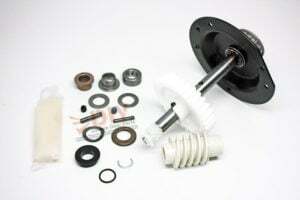 You have enough energy stored up in coiled garage door torsion or extension screens to lift a door, so you can imagine the importance of keeping these parts in good working order. In some cases, you might still be able to lift the door or your opener may still function. This is because one of the springs has not yet failed and is supporting the entire load. Very soon, you are likely to run out of luck and should replace all of your garage door springs right away. You should not attempt to use the door until you have replaced the broken parts. 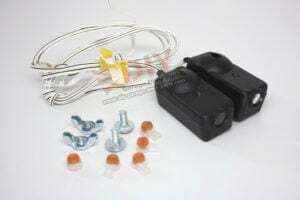 If your garage door torsion springs are more than a few years old, you can test them by disconnecting the automatic garage door opener and raising the garage door yourself. The door should slide up easily without making too much noise. It should stay in place by itself when you fully raise the door and if you only lift the door halfway up. If the door slides back down or takes too much effort to lift, you know that you have a problem. You can first visually inspect the coils for any irregularities or gaps. These are signs that the steel springs have worn out and may be ready to break at any time. Also, if the left and right side of your garage door don’t appear even, one of the springs has probably already worn out, and you should replace them both at this time. Very noisy doors may also be a sign of broken springs. Should You Replace Your Own Garage Door Springs? You may save hundreds of dollars by buying high-quality new garage door springs from us, reviewing our DIY garage door repair videos, and doing the job yourself. You should remember that these springs are under considerable tension, so you should only attempt the job if you plan to make sure you know how to do it safely and are fairly well versed in home repairs. Otherwise, you can still order replacement garage door parts and tools from us and contact a local professional to complete the task. 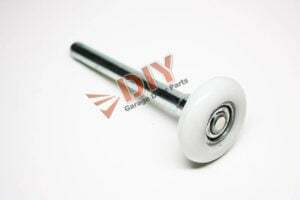 Why Buy Garage Door Springs at DIY Garage Door Parts? 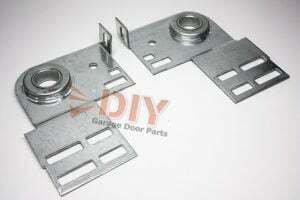 Here at DIY Garage Door Parts, we are garage door professionals ourselves. We have prospered by keeping the mission of our family-owned business simple. 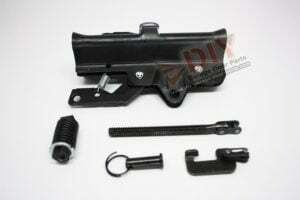 We focus upon sending our customers the best garage door parts as quickly as possible. Since we began as a hometown, community-based business, we learned to treat each of our customers just as well as we treat our own neighbors. We source only high-quality, American-made parts and can even manufacture custom parts ourselves. We mail most orders the same or next business day and let you track your order online. In the rare case that we can’t mail an order out by the next business day, we will let you know. We offer a complete library of instructional videos to help our customers with DIY repairs, maintenance, and installation. If you still have any questions, please find our email address and phone number on the contact page. We’re eager to help you with your DIY garage door project.